One more thing! 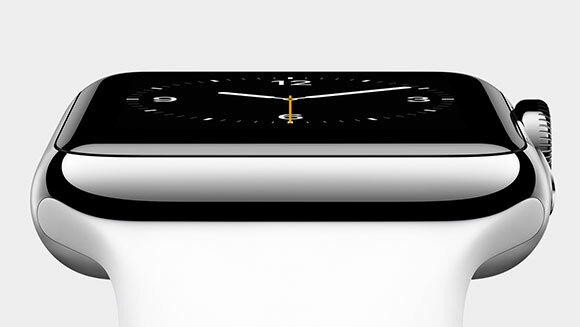 The Apple Watch is real – with a square screen and comes in 38mm and 42mm cases. There will be an 18 karat gold version but more affordable stainless steel and aluminum versions will be available too. The steel version will be called Watch Sport, the gold one will be Watch Edition. All will have changeable wristbands, ceramic backs and sapphire screens. Six different bands will be available at launch. The screen will not be always-on, it activates when you lift your wrist. The Glances feature lets you can swipe through pages of information on the touchscreen (hello, Android Wear). The touch-screen is force-sensitive and you can add custom gestures (with swipes and presses). 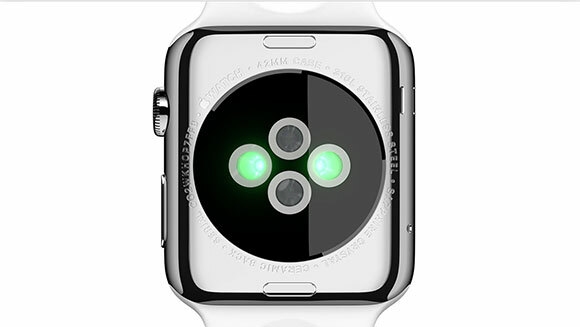 Alternatively, you can use the digital crown to interact with the watch, including zooming in on the maps application. Siri will of course work with the Apple Watch. The watch won't have you typing in answers, it will recognize questions from incoming messages and offer appropriate responses. Or you could use Siri for voice dictation. Yet another way to communicate is with emoji or quick sketches on the touchscreen. The watch can monitor your heart rate but relies on the iPhone for GPS positioning (for when you go on a run). Similar to Android Wear, notifications from your iOS device will just show up on the phone. The upcoming WatchKit will allow developers to create custom apps for the watch too. A potential killer feature is that it will work with Apple Pay. The Apple Watch will be charged with a Magsafe wireless adapter. A magnet will guide the charger to just the right place. The Watch will cost $350 and will be available only in early 2015. iPhone 4S and below owners need not apply.